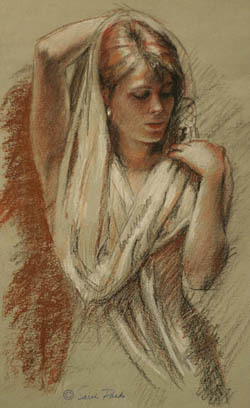 Learn How To Draw People, Flowers, Landscapes Or Still Lifes. 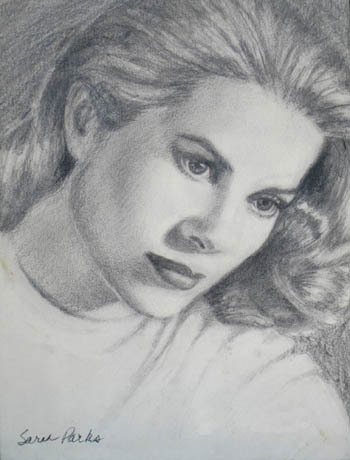 Would you like to learn how to draw people as well as make drawings of flowers or landscapes? To learn how to draw people is a skill that many wish to gain. Would you like to master that skill and combine it with the ability to draw or paint any subject at all? Drawing skills can be learned, just like any other so, if you have been thinking that you weren’t born with an ‘artistic’ brain, please get rid of that notion right away. Once you have mastered basic skills of, say, how to draw people, objects or landscapes, you can then begin the creative right-brained process of play as you explore paints and other mediums if you so wish. Without learning the basics of drawing and elements of design, your paintings will have very small chance of success – and, sadly, you will never know why! I learned drawing through the very laborious and time consuming process of attending art school for years. However, I recently experienced what one could describe as a ‘light bulb’ moment when I read Sarah Parks’ well constructed twelve week drawing course, Drawing Secrets Revealed and watched her accompanying videos. I realized that, with the proviso that students actually put in the practice which Sarah recommends and complete exercises, anyone can master the drawing basics and develop confidence to tackle other aspects of this satisfying activity. 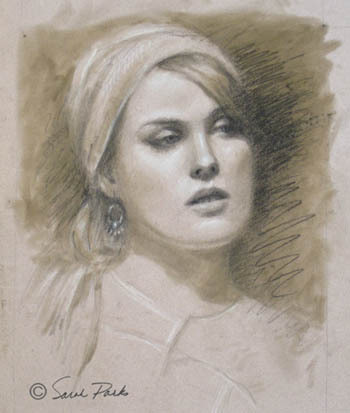 Learn how to draw people from a highly qualified and experienced art teacher. Sarah is a serious artist and teacher, well qualified for the task that she has set herself. With her daughter Nicole’s help with technical matters, such as video recording and editing, she has developed a series of videos and support text that demonstrate the process of how to draw people and objects using simple tools. She systematically explains in detail the function of the inexpensive materials that you will need to get started. Successive lessons cover elements of design such as shapes, construction, values, facial proportions, perspective and composition. The course is suitable for beginners but also for those who feel that they need a 'refresher' course in how to draw anything they choose with complete confidence. Whole lessons are devoted to the fun of action drawing (where I guarantee you will surge ahead in leaps and bounds! ), how and why to use grids, make accurate flower drawings, of course how to draw people, including some of the secrets of drawing eyes. Although the course is presented as twelve lessons you may progress as slowly or as rapidly as you wish. Perhaps your commitments require you to be away from home for a period. No worries – take up where you left off on your return. Or, if you have a block of time available for some reason, you may wish to dedicate that time to learn how to draw people, still lifes and landscapes. As with any self-directed activity, the course will only work well if you finish the exercises conscientiously. Just reading the text and watching the videos may be interesting but the old adage that ‘we learn by doing’ is as true as always. Want to learn more about this downloadable, inexpensive e-course? If you decide to go down the path of self-learning with Sarah, I wish you a most enjoyable and constructive time.